Flight time: 5-30 minutes (beginner drones usually 5-10 minutes; high-end drones will fly 30 minutes or longer). Buy spare batteries, charge 'em up, and bring them along. Range: Low end drones have a range of about 30-100 yards (or as long as a football field). As the price rises, so does the range. The higher-end drones we discuss in this article can fly up to a mile away! Are you ready for that? Gimbals: Gimbal-mounted cameras are awesome but more expensive. They stabilize drone motion so movement and vibration do not ruin the video. Every drone equipped with a camera also has its own built-in Wi-Fi transmitter. The signal is sent to either an LED monitor built into the controller, a smartphone attached to the controller, or to goggles/headset with a smartphone inside it. The LED or smartphone screen displays what the drone is seeing in real-time, allowing you to pilot the drone. Most drones use a controller with a smartphone attached. Tablets can also be used with some models; but others are not designed to hold a tablet, so check whether your mobile device will fit on the controller before buying your drone. The receiving smartphone or tab has a specific app downloaded which comprise the "brains" between the drone and the device. They link together like a Bluetooth connection. So, if you were wondering, the answer is no, you do not need public Wi-Fi or cell phone service in order to fly your drone. You can fly it in the middle of a remote mountain location if desired. Unless you thoroughly understand how drones, smartphones, WiFi and GPS come together to make it all happen, please take the time to read this short but excellent article: Understanding Drone Controllers. There are two kinds of Return Home Functions on drones: GPS-guided and "budget". Very low-priced "toy" drones have no Return To Home (RTH) feature at all. Low to middle cost range drones with an RTH function (but no GPS) don't typically actually return the drone home; they simply fly it back in reverse from where it came. This might or might not deliver the drone to your doorstep. So RTH without GPS is better than nothing, but certainly not foolproof. Many higher-end drones do provide GPS-guided RTH. Awesome but more expensive; it helps your drone "Return Home" easily. Some drones have built-in GPS, and some use the GPS on your cell phone. You do not have to enable cell service in order to use the GPS on the phone. More expensive drones have built-in GPS. This is a big plus, because it supports all kind of features otherwise not possible: custom flight routes, waypoints, follow me, orbit, etc. GPS is not crucial to a beginning drone hobbyist. Something to shoot for after you have mastered piloting without it. An example would be the Yuneec Typhoon H Pro. Headless Mode: Make sure your drone has it. Headless Mode is explained here. Altitude Hold: This function powers the drone propellers to automatically maintain altitude; less work for you. A good feature to look for. 1-button Takeoff & Landing: An excellent feature for ease-of-use while learning the ropes. Collision avoidance/Object Sensing: Only on high-end drones; these sensors help prevent costly crashes. We strove to recommend not only the best as determined by experts, but we also took into account the bestsellers, as well as included a range of brands and unique features. 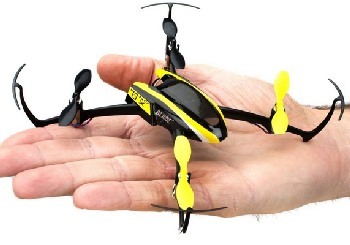 The best drone for an inexperienced child would be a cheap, easy to fly mini quadcopter. They usually run under $50, so it's not a big financial disaster should the unit crash (which it probably will with children at the helm). These "minis" are so small and light they are not likely to cause damage to people or objects they encounter. They are also small enough to be used either indoors or outside. Some children's drones are equipped with LED lights, creating an eye-catching light show at night and making the 'copter easier to find day or night. Lastly, they are designed to be easily controlled without complicated equipment or maneuvering. 1. Buy a cheap drone to learn on, then upgrade as your skill increases. 2. Buy a middle-range-priced drone so you will learn with more sophisticated sensors and flying aids from the get-go. Train carefully so you don't destroy it. Each battery will only fly about 5-10 minutes. Video quality will not be stellar or stable, or maybe even acceptable. Cheap drones are very light, and so do not handle wind well. We also don't think it's a good idea to go straight to the drone you think you might ultimately want. If you crash a $600 drone due to inexperience, that may put a permanent and unhappy end to your UAV hobby. How about a compromise? That is what we advocate. Instead of buying the cheapest drone you can find, spend a little bit more and get a drone with more advanced features. By spending between $100-$200 for your beginner drone, it's possible to acquire a unit with: batteries that last 10 minutes, an HD quality camera which streams live to your smart phone, a range of several hundred feet, and an automatic return system. You can find such a creature here. If you have decided to start your drone hobby with a more expensive and advanced drone, this one has a beginner's mode: Phantom, and this one has 3 skill levels, as well as one-button launch & land: AA818. 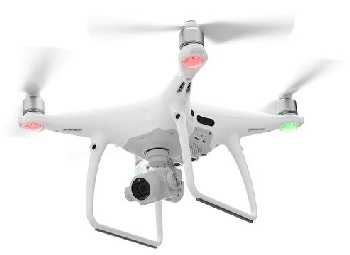 You will recall that we recommended you not buy a drone for more than $200 as you learn the ropes and gain skill in piloting your UAV. 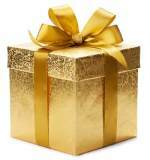 But the day will probably come when you do want to upgrade to a more sophisticated device. Unless you go crazy here, you'll probably be quite happy with a "final" drone in the $200-$600 range, most likely around $350-$450. A drone at that cost will likely provide you with all of the features you desire, perform adequately, and deliver some really decent video footage. There are two groups of drone pilots interested in shooting aerial videos and stills: recreational and commercial. Before you get all excited at the prospect of your new career as an aerial videographer, you need to know that there are regulations for commercial UAV pilots. Can you believe this? You may have never even flown in an airplane, but if you want to make a single buck using your $40 drone, you are considered a commercial UAV pilot. If you're just interested in some high-quality shots for your own use, you will need a middle-priced drone with a decent camera and gimbal stabilization. If you are an experienced/advanced drone pilot, it's not likely you will need our guide, but could probably write it for us! 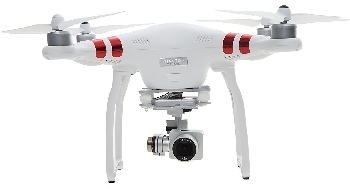 Anyway, we list some of the best-known and most popular drones for the advanced hobbyist/professional aerial photographer here. 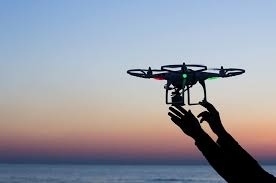 Although you have more to lose financially if you crash and destroy a $1,000 drone, once you reach the $600+ level, the systems have so many built-in features like object avoidance, automated flying modes and one-button launch and land, they are actually very easy to fly right out of the box. Just remember, however, that they are much more delicate, and likely to be seriously damaged in a high speed crash. There's a lot to be said for learning all the drone flying skills on a cheaper, harder to fly "unprotected" model in the $100-$300 price range. Learn how to fly manually before you "automate"! 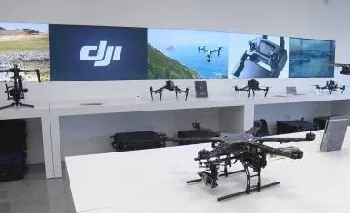 DJI is the "big boy" in reasonably-priced hobby drones. They make awesome drones but rely on your smartphone for many functions. Only by upgrading to a model costing almost $2K can you acquire their proprietary built-in monitor. Yuneec is DJIs nearest competitor. They also make some amazing machines, which do not use smartphones to function. They are great drones but not as "feature-rich" as DJI. 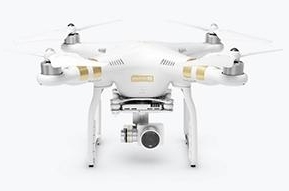 This is an excellent article for the professional photographer who cannot decide between the Yuneec Typhoon and the DJI Phantom 4 Pro. Recommended Camera Drones in detail. Understanding Drone Controllers & Monitors.